Louis Poulsen is an international lighting manufacturer and part of the group Targetti Poulsen Lighting Industries. 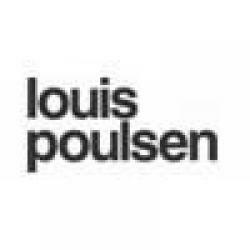 Louis Poulsen is aimed at professional and private lighting markets, lighting production and development and solutions for indoor and outdoor. Working closely with architects over many years has made Louis Poulsen a leading architectural lighting supplier in the world market. The Louis Poulsen approach to architectural development began with his collaboration with one of the best known and respected lighting designers, Poul Henningsen. Along with Poul Henningsen, Louis Poulsen lighting philosophy created a product that summarizes the concept of function, comfort and ambience. This philosophy, which continues to this day, clearly influences the very simple and functional product design - with a focus on human well-being and perception of artificial light - which helps to create unique lighting environments. 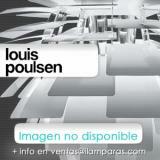 Louis Poulsen’s approach focuses on a very strict and inflexible philosophy in favor of the simplicity of the product. This results in products with a very simple and understated design ideal for all types of architecture, both new and old, through different cultural styles. Louis Poulsen designs of products are also appreciated for their unique quality and lasting appeal, resulting in projects that remain year after year.